Brivis is all you need to control your climate all year round. With more than forty years of existence, you can rely on Brivis for its total quality. Brivis has two main products, Brivis central gas heater and the Brivis ICE Series add-on air conditioner. Brivis ducted gas heater can warm your whole house during the winter season while Brivis Ice Series add-on air conditioner can cool your place during summer using the same ductwork. The fan from your Brivis add-on air conditioner is designed to deliver filtered and refrigerated air to each room. In addition, Brivis add-on cooling system may also be installed when you install your Brivis central gas heater or even at a later time. What is best in using Brivis central gas heater and Brivis add on cooling system at the same time is, it uses single ductwork for an integrated heating and cooling function. 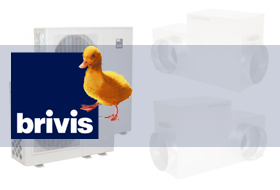 Brivis ICE Series air conditioning is guaranteed to deliver highly efficient refrigerated cooling through the same system as the Brivis ducted gas heating. With Brivis gas heater and Brivis add on air conditioning, both the heating and the cooling function can operate through the programmable wall controller or the Brivis Networker. Brivis ICE Series air conditioning unit also comes with a full five year warranty but with Brivis’ extensive research and ongoing commitment, it is designed best to serve the family more than its warranty period.